Getting a good bicycle that will cater to your specific riding needs is quite hard. We all have different body heights and weights and finding just the right bike for you can be a daunting task. This is why we have done the hard part for you. After countless research, we have compiled a step-by-step guide on how to buy a hybrid bike. If you are looking for a bicycle for commuting to and fro work, and one that can also be used for recreational riding, then a hybrid bicycle is just what you need. Hybrid bikes can accommodate tall, short, heavy, or lightweight individuals – they come in various dimensions to accommodate all. They are made from high-quality materials that are very durable and comfortable. These bikes comprise of great tires and braking system that enables a rider to cycle over almost any terrain with ease. In this article, we shall consider key features that you should look out for when buying a hybrid bike. We want you to be able to purchase an item best suited for you and one that provides the best value for your money. Just as its name states, it is a hybrid of a mountain bike and a standard road bike. This product takes all the best bits of both bicycles to provide you with a machine that can withstand all terrain and surfaces. This type tends to have a more relaxed geometric frame – it comprises of a short top tube and a tall head tube that gives a rider a more relaxed and upright riding position. Its frame is great because it adds no tension to your neck and shoulders. This machine’s top tube has a sloped design that makes it relatively easy for a rider to alight or get on, regardless of what you are wearing. Another common feature of hybrid bicycles is that almost all have flat handlebars as opposed to dropped bars found on road bikes. This feature again adds to your posture during riding. When you compare them to road bikes, you will note that they have wider tires. Yes, their width varies from model to manufacturer, but they generally range between 28mm and 42mm. This will help improve your comfort as those wider tires act as shock absorbers, especially when you are riding over rough terrain. Wider tires also have a firmer grip on wet surfaces. Are you looking for a practical, simple design or do you prefer high-tech items? What matters to you more – price or quality? Now, let us get to the good part. 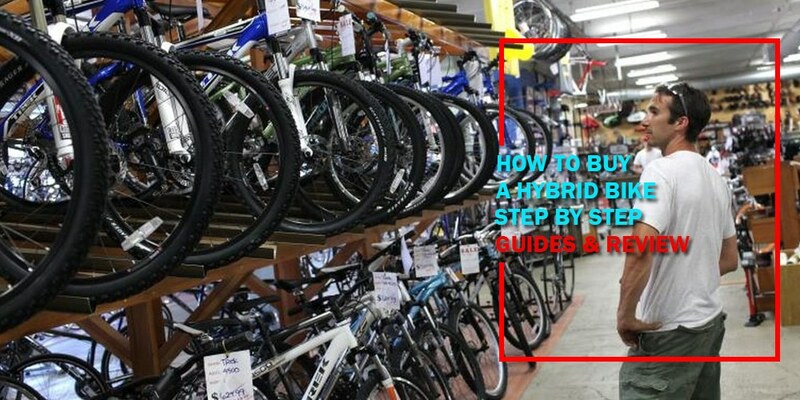 Follow these steps and you should come out of a store with a hybrid bicycle that is best suited to your riding needs. A hybrid bike that is good for someone else might not be best suited for your needs. First, you need to identify your needs. It is best to consider what type you want. There are tons of different manufacturers and their products have different features that suit individual needs differently. It all depends on what sort of riding you are going to be doing. 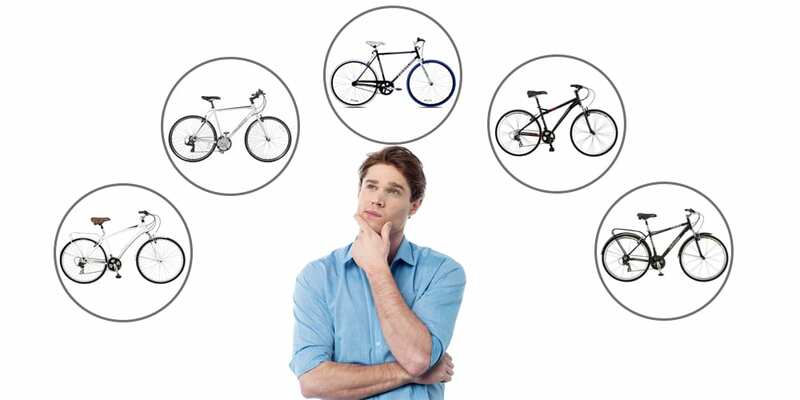 For example; is a hybrid bicycle that is more similar to a mountain bike what you would prefer or would you prefer one that has features similar to a road bike? 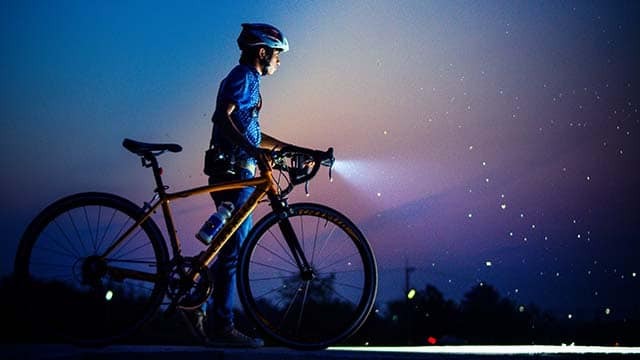 Let me explain: If you plan to ride mostly on roads and cycling paths, it is best if you go for a more road-friendly hybrid bike – look for one that has near similar features to a road bike. This type will generally have same frame and fork as those found on a road bike – but with a flat handlebar. They will also have thinner tires to allow you to ride faster so that you can keep up with traffic. This type of hybrid will also come with a fantastic gearing system that you can crank up and race to work. However, if you are planning to ride on rougher paths, then you need a bicycle that can tackle tough terrain. You can know this type because it will come with a suspension fork to improve your comfort when riding over those bumpy surfaces. It will also have wider tires to absorb shock from rough paths. These tires usually come with a bit of thread to give you a firmer grip. When it comes to gearing system, this type will have a slightly easier gearing that will allow a user to hit top speeds but not as high as road-oriented hybrid bikes. Products made from this material are very durable and have a beautiful finish. However, steel products will be heavier and be hauling them over hills will be a tough task. This material is mainly used on expensive road bikes and hybrid bikes. Carbon-made devices are great as you will not exert as much energy cycling. However, you need to be prepared for a higher price. If you are working on a budget, you might want to steer-clear of gadgets with this material. On the other hand, if you can afford it, you will not regret your decision. It’s used on the majority of hybrid bikes. You are able to get a device ranging from $200 up to $1,500. When taken care of properly, aluminum gadgets are light, highly durable, and provide great comfort to all users. When it comes to gearing, you will get exactly what you pay for. When you pay more, your item will come with higher quality groupsets. This means that you will have quality shifting and less effort will be needed for shifting gears. Hybrid bikes come with three main manufacturers groupsets such as brakes, levers, and gear shifters made by Campagnolo, SRAM, or Shimano. The more expensive your bike is, the better its group set. If you plan to use your device to commute to and fro work, then gear shift is not such a huge concern. However, if you live in a hilly place, then invest in one that has superb gearing. There are two types of brakes available in those more expensive hybrid bicycles; rim brakes and disc brakes. Both have their own benefits, so it is best to choose to depend on what you prefer. Rim brakes use two pads to grip the rim of your wheel. Rim brakes are a cheaper option and they are the preferred method of braking on most road bikes. They are also lighter and are quite easy to adjust and maintain. All you need to do is slide in a new pair of brake pad every few months and you are set to go. Disc brakes use a rotor attached to the hub of your wheel. They are mostly used on mountain bikes. 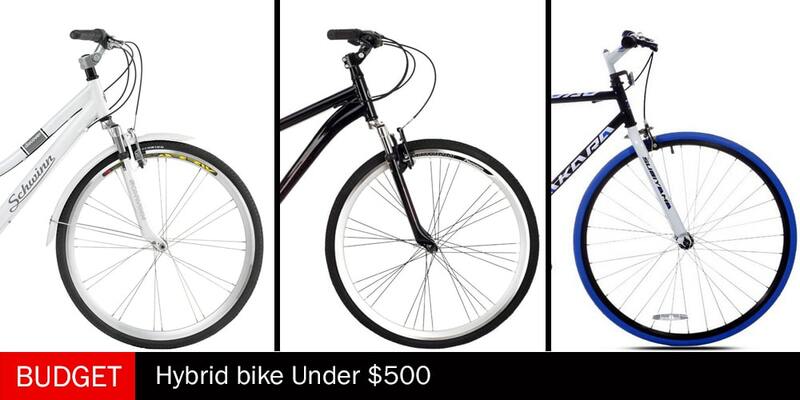 It’s more expensive, meaning you can expect to find them on the best hybrid bikes. They offer better braking options and work great in wet or dry conditions. If you use muddy cycle paths, then they are just what you should look out for. However, disc brakes are heavier and will add to your bike’s overall weight. What sort of saddle comes with a particular model? If you plan to use your device for long rides, then choose a heavily padded saddle. You can always opt to buy padded cycling shorts for more comfort. Actually, if you do buy padded cycling shorts, thin-looking saddles will not be a major concern because, despite a lack of padded seating, you will have your own. The quantity of saddle padding depends on how much comfort you are looking for. Some users might opt for a heavily padded saddle no matter their riding distance, while others will opt for a lighter saddle. Keep in mind that more padded saddle will provide more comfort, which in turn provides better support for an upright riding position. Most hybrid bicycles are sold without pedals or with some cheap plastic version. The first thing you will need to do is invest in a good pair of pedals. One of the best off-road pedals is Shimano’s SPD system pedals. They are easy to assemble and can be used with all types of shoes – not just cycling shoes. They do not clog up with mud meaning you can paddle away in muddy areas without any worries. While all mentioned features are vital, it is wise to look at a bike’s other features. These added features can help you decide how good that particular model will be for your day to day usage. If you carry heavy items to work with you, it can be very tiresome and uncomfortable for you to carry a backpack to and fro every day. A better option would be for you to invest in a pair of panniers. Before purchasing check whether that specific model comes with eyelets in its frame. Eyelets allow you to assemble a pannier rack onto its frame. If it does not have any eyelets, you can opt to buy adaptor clips (they will allow you to use a pannier rack without eyelets). However, adaptor clips do not hold a pannier rack as securely. Try purchase a model that has plenty of space between its frame and tires. You can use this clearance to fit in mudguards or eyelets. Mudguards will help you when cycling on wet, muddy roads. 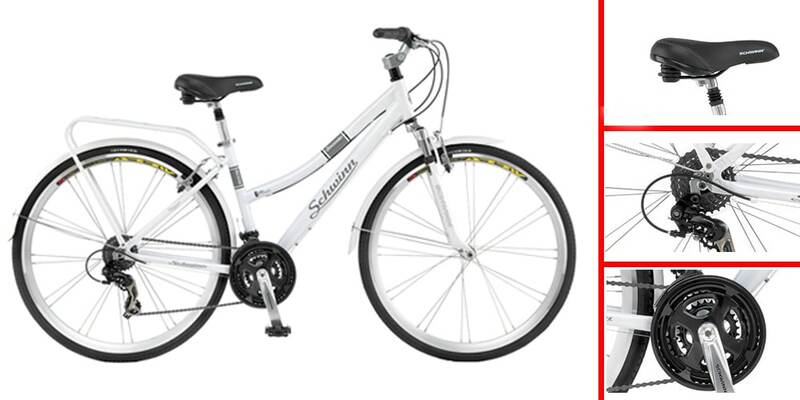 A hybrid bike with such a clearance can offer great advantages to you. How much you are willing to spend determines everything. Because of all available options, model, types, brands, etc, it can be very confusing to find the best hybrid bicycle for you. A buyer can find themselves conflicted between all available options and in some cases, they might end up purchasing an item that is way over budget because of all the cool and awesome features it entails. If you want to avoid debt after a purchase, go into your shopping experience with a set budget. Do not go overboard and do not try to look for cheaper alternatives to save a few bucks. Look for a model that has all features you are looking for, within your price range. This is very important because you still need to look for the best value for your money. Before purchase, peruse through websites and compare notes to find which product has raving reviews. There are tons of models out there and this can be confusing. 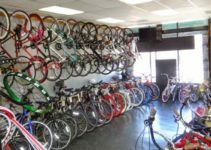 However, once you narrow down what sort of bicycle you want, the frame material you are looking for, your list will be much shorter and be finding one that’s within your budget should not be hard. There are tons of hybrid bikes on the market and buying one that best suits your needs can be a daunting task. There are very many bicycles being manufactured and introduced into the market every other day. Manufacturers who want to remain relevant need to come up with fashionable and better models that are customized to meet the modern man’s needs. 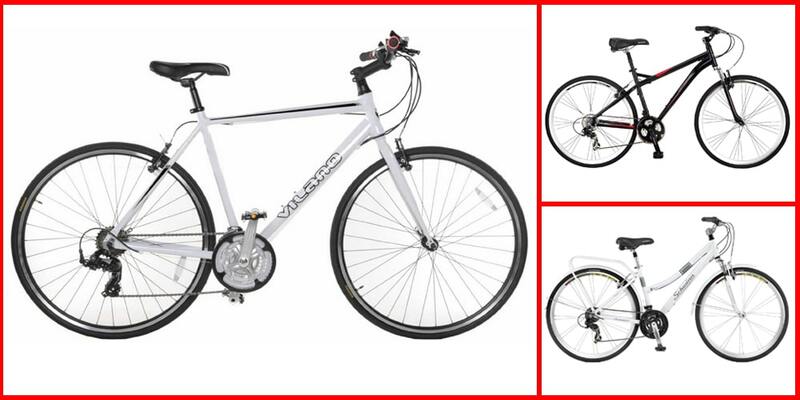 Before embarking on buying the best hybrid bicycle, I would suggest you first peruse through various websites, visit a couple of shops and read customer reviews. This will give you a clear picture of that particular model and make. Our website is full of key information to help you buy a product that is durable, reliable, and affordable. Whatever your budget is, with a little bit of research, you are bound to find just what you are looking for. Leave a comment below if you have any other additional information that you think can help other buyers make the right purchase.